I wrote recently about DearMYRTLE's newest study group; seventeen Google+ Hangouts where she and several panelists (see this post for her announcement) are discussing each chapter of Mastering Genealogical Documentation by Thomas W. Jones. To save a little money, I first purchased the Kindle edition of the book, but last week I had to admit that I just study better with a printed text and so I ordered the print version from NGS. Once it arrived, I reviewed the first chapter again, reread the homework submitted by the panelists and rewatched the first hangout. Now I am ready to put my thoughts on this chapter in writing. The panelists for this study group have been asked to share only about a part of each chapter that speaks to them, both to respect copyright and for brevity, and I am going to do the same. As Dr. Jones points out in his book, there are several reasons that "serious genealogists" document their findings. Crafting accurate citations forces us to analyze records deeply, it allows us and other researchers to find those sources again, it shows the quality of the records and the scope of the research and it even helps researchers to avoid plagiarism. Lakeview Cemetery, No. Hatley, Quebec. Moses Bean(e) was my fourth great-grandfather. 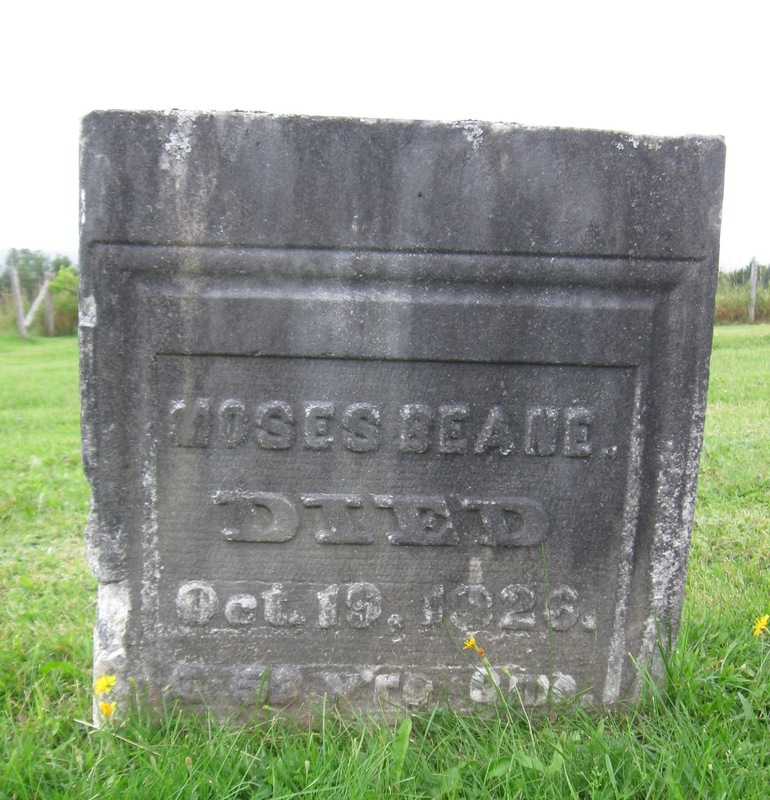 We visited his former homestead and grave this summer. This line seems to be very well documented, appearing in at least four books that I have found online. One, in particular, I once thought would be the Holy Grail for a lineage I had seen in some Ancestry member trees taking me back at least 11 generations to my supposed 8th great-grandfather, John Bean of Exeter. He was a Scotsman and a prisoner in the English Civil War and was brought to the colonies and sold into indentured servitude in Exeter, New Hampshire. It took me a long time to find the book online and in one sense, it did not disappoint. The book was obviously a huge undertaking, a labor of love, I'm sure, for the author, a distant cousin. 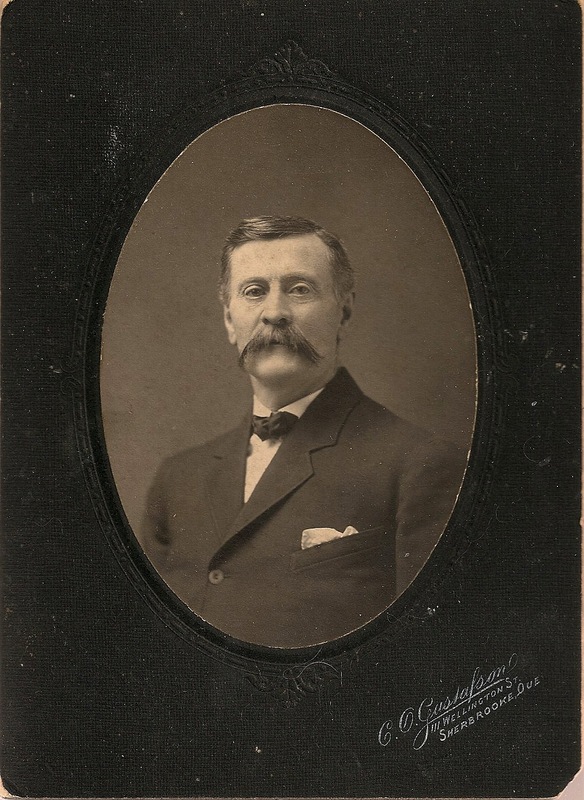 His genealogy took my line all the way from John Bean to my 2nd great-grandfather, Denison Bean of Compton, Quebec. But there were issues. I know a little something about genealogy now that I have found this book. I know I cannot take it at its word. I know I need to evaluate the evidence, examine citations, study those sources for myself. And there I was disappointed because there was nothing to evaluate, examine or study. Just vague references to archives and, as I was sad to discover this summer, an entire passage about Moses and his wife Elizabeth that matches a passage from an earlier work almost word for word. One of the participants in the study group shared her experience with having a printed genealogy handed to her many years ago. It too was unsourced and it has taken her 30 years to verify that most of the information in it was indeed correct. Wouldn't it have been great if she could have spent those 30 years adding to the research instead? As much as I am looking forward to digging into some archives in New Hampshire, wouldn't it be great if I could as well? I have to admit that if someone took over my research today, much of it would have to be verified independently from scratch too. Citations are missing, incomplete or not attached to the record they describe. I don't want to be that researcher. By the end of this study group, I hope that I will be a different researcher; a researcher who digs into her sources to understand them as completely as possible, who can follow even citations-in-progress back to their source, who can easily show others the quality and scope of her research and who shares only original, commonly known or well-attributed information in her conclusions. Anna, I also have two family histories that are light on sources but heavy on possibilities. And like you, I've begun taking steps to show my sources so future generations will know they can trust what's on my trees. Looking forward to your posts as this study group progresses. Helpful post, Anna. I've been quietly going back through my direct lines, making sure I have reasonable research sources. That first big flush of searching online was quite "successful" for names/places/dates, but I was too excited to write down where I found those lovely bits! Sometimes I put down a 'shorthand' version of the source - sigh. Cheers on your endeavours!! I Finally Visited My Local Family History Center!